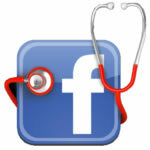 Join the Erskineville Doctors Facebook page. We’ll provide updates on our doctors’ hours and services offered as well as sharing posts health issues we feel will be of interest to our patients and their families. Join us here.